What do the moon, Jupiter and the largest volcanic eruption in recorded history have in common? 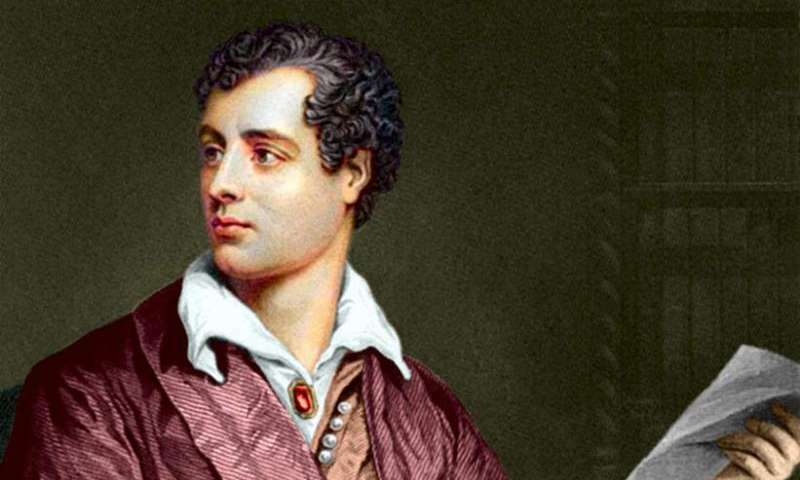 Exactly 200 years ago they all combined to inspire renowned British Romantic poet Lord Byron in writing "Childe Harold's Pilgrimage," the work that made the poet famous. So impressed was Lord Byron that he devoted three stanzas to a spectacular evening twilight that he observed in Italy during August of 1817. "The Moon is up..." he wrote in the fourth canto, published in 1818, "…A Single Star is at her side." The stanzas hold enough clues to link the scene to the real events that inspired it—including the massive 1815 eruption of Tambora in Indonesia. Texas State University astronomer, physics professor and Texas State University System Regents' Professor Donald Olson has applied his distinctive brand of celestial sleuthing to the question of identifying the object next to the moon. Olson determined that Lord Byron's famed "Star" was actually the planet Jupiter. What's more, by happy coincidence, the moon and Jupiter are aligning on several dates this summer so that modern viewers can view a twilight scene very much like the one Lord Byron observed exactly 200 years ago. Olson publishes his findings in the August 2017 issue of Sky & Telescope magazine, on newsstands now. "The above description may seem fantastical or exaggerated to those who have never seen an Oriental or an Italian sky – yet it is but a literal – and hardly sufficient delineation of an August evening (the eighteenth) as contemplated in one of many rides along the banks of the Brenta near La Mira. "Wednesday August 20th 1817: Ride with Byron. Return over the other side of the river from Dolo … Riding home, remarked the moon reigning on the right of us and the Alps still blushing with the gaze of the sunset. The Brenta came down upon us all purple – a delightful scene, which Byron has put in three stanzas of his "Childe Harold." Floats through the azure air – and island of the blest!" Byron's readers would have understood "Dian's Crest" as a clear reference to Diana, the Roman goddess of the moon, who was often depicted with a crescent as a diadem or crest over her forehead. Olson found that's exactly what Byron would have seen—a waxing gibbous moon, a day past first quarter, in the evening sky with the brilliant planet Jupiter unusually close by. Using the same astronomical software, Olson also determined that on several dates during the summer of 2017 this celestial scene will repeat, allowing modern viewers to catch a glimpse, at least in part, of the sky that inspired Byron's stanzas exactly 200 years ago. A waxing Moon will appear near Jupiter in the evening twilight sky shortly after sunset on June 30 and July 1, 2017, with similar scenes repeating July 28 and 29, and again August 24 and 25 of 2017. Melted to one vast Iris of the West"
In Greek mythology, Iris was the goddess of the rainbow. Byron's phrasing indicates unusually vivid colors in the cloudless, twilight sky. But what would cause the sky to stand out to capture Byron's imagination in such a way? 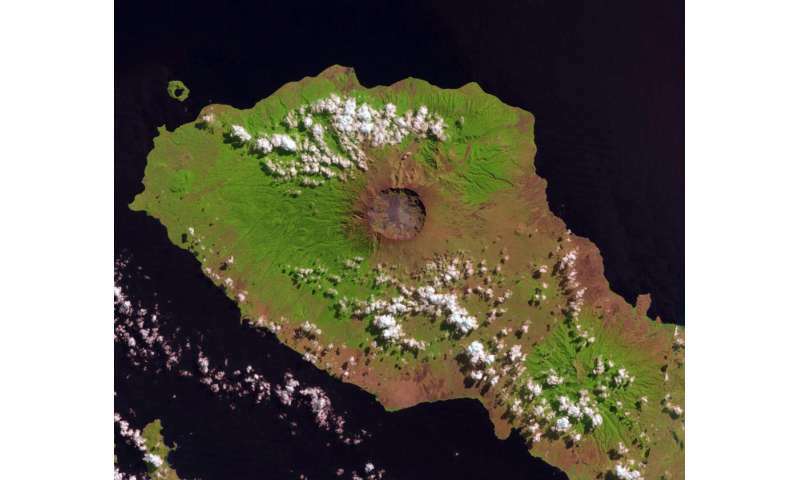 The answer may lie in the 1815 eruption of Tambora, the most powerful volcanic eruption in recorded history. In the February 2004 issue of Sky & Telescope magazine, Olson connected the blood-red sky in Edvard Munch's most famous painting, The Scream, with the 1883 eruption of Krakatoa. The spectacular "Krakatoa twilight" was the result of dust, gas and aerosols ejected into the upper atmosphere by the volcano, producing remarkable hues in twilight skies worldwide. The April 1815 eruption of Tambora was far more powerful than Krakatoa. Observers the world over for the next three years noted brilliantly colored sunsets and twilights attributed to the eruption. It is likely that Byron observed a "Tambora Twilight" as the backdrop for his observation of the moon and Jupiter that August evening in 1817. The last still loveliest – till – 'tis gone – and All is gray.